Producing takeoffs from a paper drawing with a scale rule really is one of those thankless tasks that can take hours away from your business when you could be doing other things that actually make money! But there is another way, and the amount of time and money you save could seriously benefit your business. Why not let Ensign's Insulation On Screen Take Off Software take over the takeoff task with quick and easy on screen take off from both paper drawings and electronic copies? 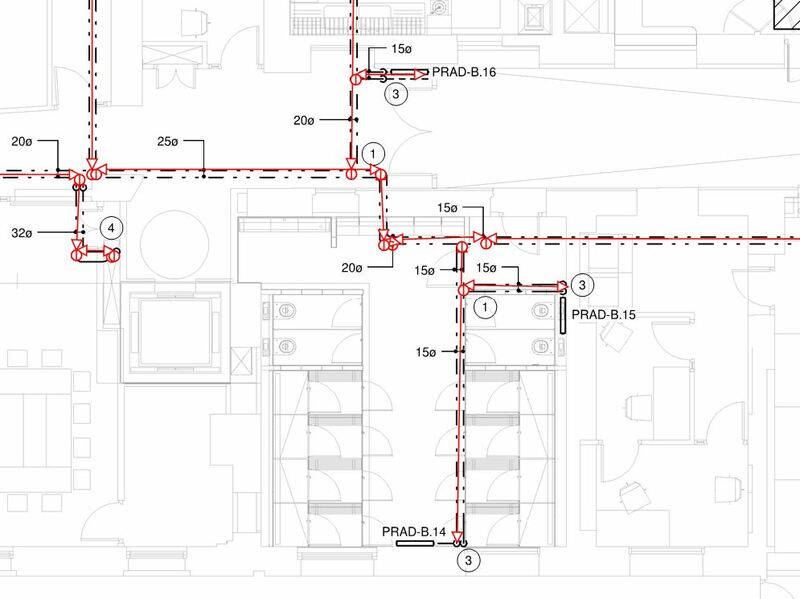 Designed specifically for insulation estimators, this software can measure runs of pipework and ductwork, ask the software to automatically detect pipe bends when required, count valve coverings and boxes, change sizes and so much more! And when you’ve finished your takeoff in rapid time, you’ll also have an automatically produced, neatly collated list showing you the exact measurements for each part you need and how many you need to buy! With the ability to remove layers, there’s no more need to peer for hours at a drawing trying to see the insulation details. Just click the layers tab and untick any layers you don’t need and you’ll be left with just the details you need to see. You can also alter the scale of your drawings to either a standard size or a customised one, enlarge details quickly by zooming in with the mouse wheel and then zoom back out again to see the overview, highlight different parts of the drawing in different colours and pause the measurement of a particular section while you scroll across the drawing to the end of it, and then restart the takeoff to cover the whole section in one go! You’ll pick up this software in no time and you’ll soon be doing rapid takeoffs with this intuitive and flexible programme, and spending all that time saved working on your business, where you need to be. Export all quantities automatically into Ensign’s Insulation Estimating Software to give you totally accurate and instant material and labour costs. 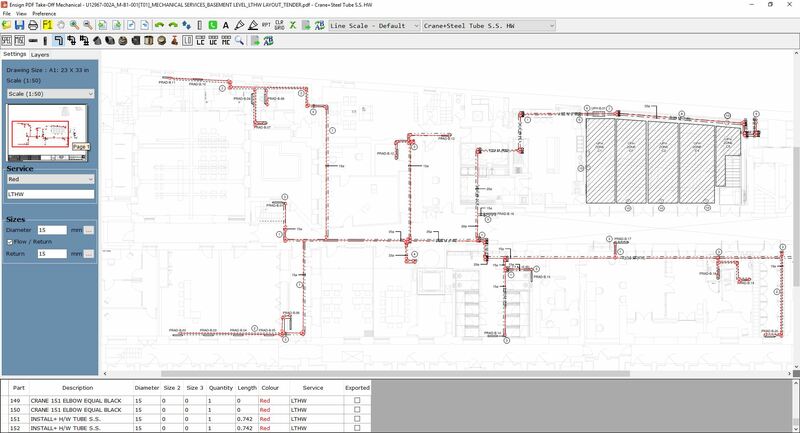 When importing a pdf takeoff into the Ensign Insulation Estimating Software, it will automatically read your takeoffs against the relevant service definitions and specifications, allowing for the correct materials, labour and thicknesses, giving you yet another way to save more time. We are the only supplier of this software in the country and offer you full and comprehensive support from our dedicated team and one-to-one training, so you know exactly what you are doing. With ongoing updates included, you’ll always have the latest version of the software and the latest figures from the manufacturers. This software is carefully designed to your specific needs as we take our user feedback very seriously, so why not give us a call today? You’ll be glad you did!